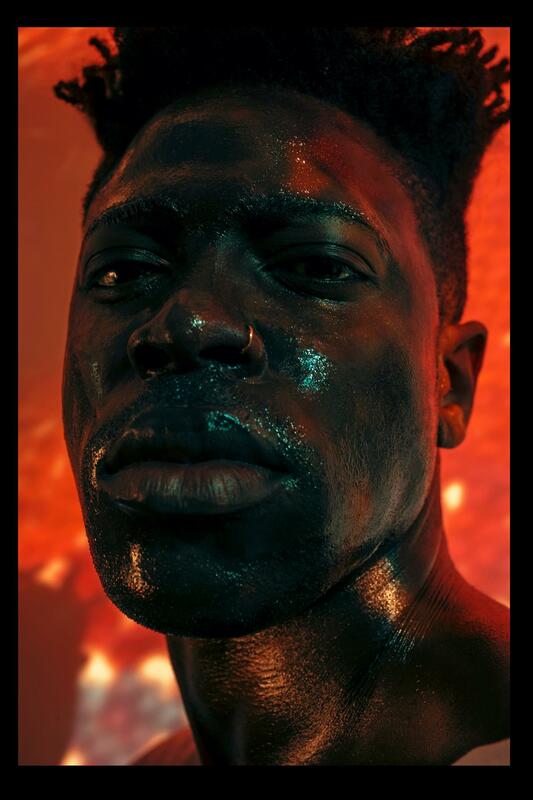 Out of Moses Sumney’s anthropological experience of protest comes ‘Black in Deep Red, 2014,’ a pithy EP that captures the tumultuous, immediate, intense experience of black unrest. Imagine you’re at a gallery. Perhaps it’s the MoMa. You are in the Expressionist wing, staring intently at a Rothko. It is Black in Deep Red––big, challenging, mysterious. Where do you begin? At its edges? Its interior? Within those gaseous spaces between its floating blocks of red and black? What do you see in those bold strokes of color? Is it an emotion? A philosophy? Existential despair? Whatever comes to you, the reality implied in the work might bleed into your own. A reflective exchange, where even a mirrored glimpse can shape you into an entirely new being, changed forever––emotionally, spiritually. Moses Sumney promises something similar. As a disciple of Rothko, he isn’t just creating “art for art’s sake.” On last year’s Aromanticism, Sumney reckons with the shortcomings of twenty-first-century intimacy, demanding that you too ask yourself an important question: Why do I seek love in the first place? He attempts to find harmony in a world possessed by unrealistic ideals, but by the album’s close, nihilism is the only thing to be found at the bottom of his emotional well; a forsaken void where modern romance starts and finishes at a place of naivety, delusion, and dating-app infantilism. When you find yourself lonely at 12 AM, mindlessly swiping left and right on Tinder, it’s hard not to feel the same way. But on his latest release Black and Red, 2014 (out August 10, 2018 via Jagjaguwar), Sumney is charged with something new all-together: A political fervor that glows with the fiery passions of black unrest contending with police brutality, white supremacy, and an unjust judicial system. Inspired by his attendance at a 2014 protest rally for the death of Michael Brown, the three-song EP seeks to understand the hopes of black power under the shadowy guise of American nationalism. While this is Sumney’s most buoyant release to date, the sense of collective empowerment he summons is still seeped in his trademark sophophilic attitude. Rather than purport a reckless optimism, Sumney measures his aims of protest with the realism and inquisitive ethos of a Greek philosopher. 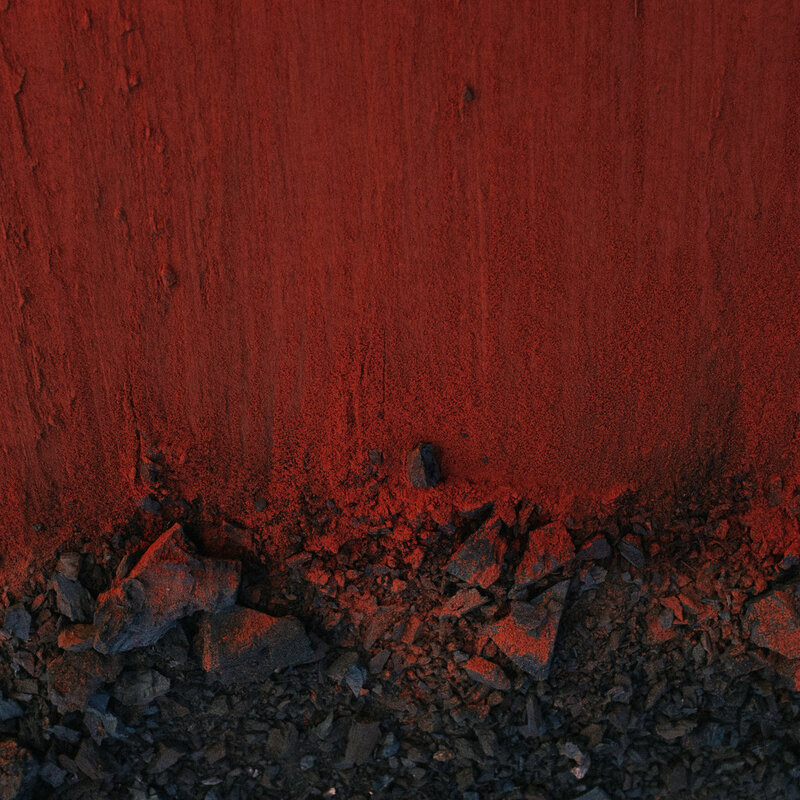 Black and Red, 2014 unfolds like a three-act play, with each song performing a critical role in the scripture of Sumney’s gospel––or more accurately, his philosophical oeuvre. We begin with the setup, the genesis of his interrogation: “Power?,” which immediately unfurls a flag of skepticism. It opens with a communal chant, restaging the streets of Ferguson. “Power, power, power, power. Power to the community, power to the community,” goes the first verse, reflecting on the grim truth that one question may never be answered: Will black lives be at stake indefinitely? Curbed by the perils of policing, protest feels like a perpetual practice for the black community––something mechanical and enerverating, akin to the robotic whir of Sumney’s voice. In the face of endless black suffering, news cycles can feel like winter seasons––inauspicious, expected, merely survived. So what is the agent of black freedom then? Sumney doesn’t have an answer, but he does offer a basic question as imposing, ancient, and eternally relevant as any line etched in Socrates Politics or Plato’s Republic. “Do we have power? / Do we have power?,” Sumney asks himself (and us too) in a slowly bowed intone. The overall effect is an uncertain one. Like watching menacing clouds encroach upon a clear blue sky, it is hard to ascertain whether or not such an insurmountable force is conquerable. But then, this fatalism is tempered by “Call-to-Arms,” the second act of Sumney’s high drama. At the outset, we start somewhere bright and familiar: Sumney’s silvery warble hovers over the gentle melody of an acoustic guitar, swathing the senses in the deep blue of his apprehension. It’s the sound of suspense the night before a battle, the tension of walking towards a menacing wall of a heavily-armed SWAT team. Yet the spell breaks on the song’s bridge, placing us somewhere dark, strange, and dangerous: an ethereal wonderland of unruly jazz improvisations, breakneck military drums, and eerie phantom wails. This is where you are transported to the Ferguson riots, forced to take cover in Sumney’s sumptuous instrumentation as tear gas and rubber bullets rip through the air. His intentions are made fully clear. Sumney wants you to experience, sonically, the many facets of protest: its terror, its triumph, the bottomless perseverance of its soldiers. On the closing act “Rank-and-File,” we have reached the final chapter: the deciding battle. Much like the album cover’s depiction of Black in Deep Red with its charred ash and sinister crimson hues, the song imparts the feeling that everything can collapse suddenly, all at once. Amidst its hostile composition of spiritual drones, gospel-choir howls, and dizzying sprees of bodily percussion, the imagery of Ferguson is ultimately evoked––in flames, colored in blood, damaged, without moral direction. When the refrain arrives, it plays out like a scene in Stanley Kubrick’s Full Metal Jacket. “Now I don’t care what I’ve been told,” croons Sumney, playing the part of a military grunt in a long march. Here, no whispers of rebellion exist. Only “puppets, erect,” heeding the orders of their royal master, “the police state.” It’s a dark conclusion, leaving us to wonder what to grab onto in a stark landscape where the light of hope has been leached out, where black bodies are soaked in the blood of their brethren. Despite this perceived futility, there is a great strength in the ability to fight, to sing fearlessly, in the face of hopeless odds. Like the work songs of a black slave, the syncopated supercool of a Harlem musician, the resonating cries of a hosed-down student, his piercing falsetto channels the entirety of black history’s tragic beauty at your ears. However you might approach Sumney’s Black in Deep Red, 2014––as political activism, sonic comfort food, avant-garde canon––his aesthetic genius give us all the strength to endure, indefinitely. My name is Nick. I am currently unemployed and live on the beach with my surfboard in Los Angeles. When I am not home, I am busy attending NYU studying journalism, slurping ramen, moshing, or gentrifying the Lower East Side. Cheers!